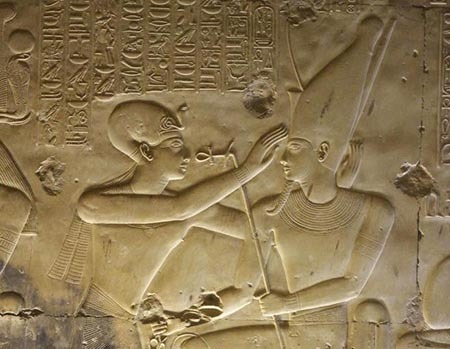 King Sethy I ruled at a crucial point in Egyptian history, following the ill-starred religious revolution of Akhenaten, and heralding the last phase of Egypt's imperial splendour. Today, we will explore Sethy I's career and monuments, not only in ancient times, but also their modern history and their impact on today's understanding and appreciation of ancient Egypt. Professor Aidan Dodson has taught at the University of Bristol since 1996, and has been Honorary Professor of Egyptology in the Department of Anthropology and Archaeology since August 2018. He was Simpson Professor of Egyptology at the American University in Cairo in 2013, and Chair of Trustees of the Egypt Exploration Society from 2011–2016. Elected a Fellow of the Society of Antiquaries of London in 2003, he is the author of over twenty books, the latest being Sethy I, King of Egypt: his life and afterlife (American University in Cairo Press, March 2019), with a companion volume on Rameses III in the press.